Rajanikanth has been going through lean phase post Robo, which also has affected the run of his ultra high budget 2.0 too. At this juncture, Karthik Subbaraj who has made some impressive films earlier teamed up to do a masala entertainer with the superstar. Petta is a film that is made by a diehard Rajani fan for the superstar’s fans. Kaali (Rajanikanth), a mysterious old man comes to a hostel as a warden and immediately teaches a lesson to some bad guys (Bobby Simha and co). Later he supports a young couple (Megha Akash and Sananth), which leads to unforeseen circumstances. But there is more to the story as Kaali has an untold past. He is not Kaali, but Petta Veera! Why has hidden his identity and living in exile? Rajanikanth is at his vintage best as Kaali. His energy, mannerisms and style will bring back the memories of vintage Rajani. Despite playing an aged character, Rajani has been given the look of a youngster and he is super stylish in blazers and sweatshirts. The film is all about Rajani in spite of many well known actors playing key roles and the superstar delivers his best in his inimitable style. Simran has a brief role as a charming middle aged woman and Trisha has very limited screen space as Rajani’s wife in the flashback scenes. Vijay Sethupathi has been wasted in a very ordinary role. Same is the case with other talented actors like Sasikumar and Bobby Simha. Bollywood actor Nawazuddin Siddique plays the typical meek villain character and he does well. Karthik Subbaraj’s aim is pretty clear. He didn’t want to make a content ridden film with Rajani, but deliver a film that appeals to Thalaiva fans. He showcased Rajanikanth so well in a stylish character that is a feast for his fans. His love for Rajanikanth is evident in every frame. 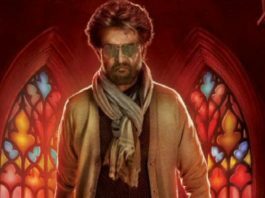 However, besides presenting Rajanikanth in a role that connects to today’s audiences, Karthik Subbaraj neither wrote an engaging script nor kept the entertainment factor intact. Second half is a mess. Anirudh once again delivers topnotch background score and a couple of songs are high on energy. Cinematography and stunt choreography also are very impressive. Editing could have been better as the film is unnecessarily long. Production values are solid. Directors are unable to make use of the demigod image of Rajanikanth lately. Rajanikanth’s films are repeatedly failing at the box office as they couldn’t enthrall fans and appeal to film lovers as well. Director Karthik Subbaraj of Pizza and Jigarthanda fame, a self proclaimed diehard fan of Rajanikanth made a film that brings back the vintage Rajani. The plot of Petta is similar to many Rajani’s blockbusters of the past. Rajanikanth comes to a place by hiding his actual identity and then the real background of his is revealed later. Then it is followed by the revenge saga. Most of the Rajani blockbusters have similar theme and Petta also heads in the same direction. But the major difference is the way Rajani has been presented. Rajanikanth as Kaali, the hostel warden is a treat to watch. There are a lot of fan-moments and punch lines in the first hour besides some energetic songs. Rajanikanth also plays the ‘lover boy’ for some time with veteran actress Simran playing his romantic interest. Not a single dull moment in the first half, which ends on a high note with the reveal of Petta. Flashback portions are decent, although it isn’t as powerful as Basha. But the real problem arises with Rajani getting into revenge mode. Director tried too hard to make it look like a fresh idea, but he only messed it up in the process. The film was dragged on and on unnecessarily, but the climax packs a punch. Second half needs a lot of trimming as it could dent the prospects of the film’s box office performance. Petta on the whole is a film for Rajanikanth fans that are missing vintage Thalaiva lately. You cannot miss watching the first half of Petta if you are a diehard fan of Rajanikanth.